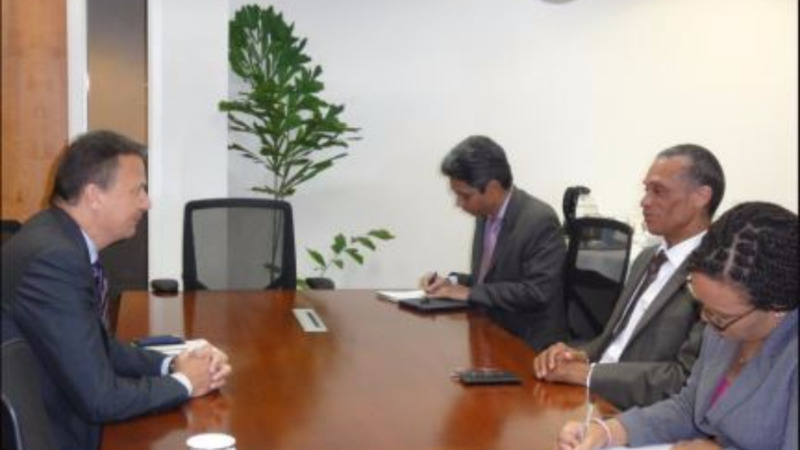 Foreign and CARICOM Affairs Minister Dennis Moses welcomed Ambassador of the Swiss Confederation to T&T, Didier Chassot, resident in Caracas, Venezuela, during a Courtesy Call on September 27 at the Foreign Affairs Ministry. The courtesy call followed Ambassador Chassot’s presentation of his Letters of Credence to President Anthony Carmona which took place on September, 26. During the meeting Minister Moses and Ambassador Chassot discussed opportunities for cooperation between Trinidad and Tobago and Switzerland in the areas of climate change and environmental protection; education through support for the University of the West Indies; financial services; regional security; support for the Caribbean Disaster Emergency Management Agency; tourism; and cooperation in international fora. Ambassador Chassot informed Minister Moses that in addition to his accreditation to Trinidad and Tobago, he was also the first Ambassador of the Swiss Confederation accredited to the Caribbean Community (CARICOM). This commitment to the Region follows Switzerland’s ongoing humanitarian and technical cooperation activities in Cuba, Haiti and Jamaica and will continue through its efforts to assist in treating with the impact of Hurricanes Irma and Maria in the Region. 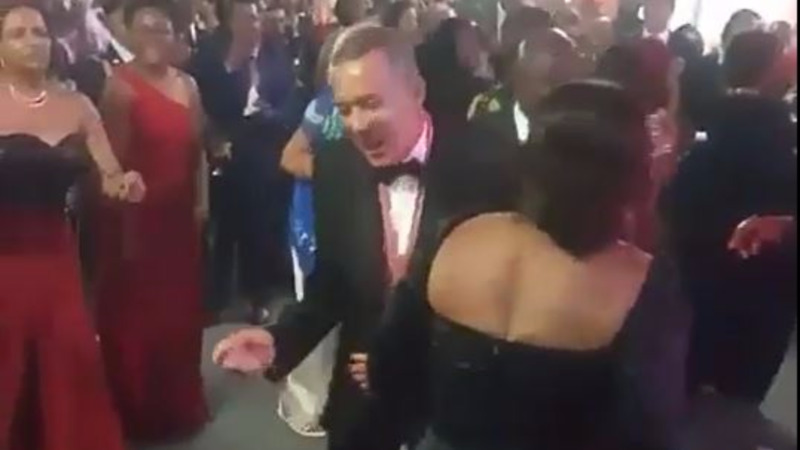 WATCH: President Anthony Carmona "jamming still"